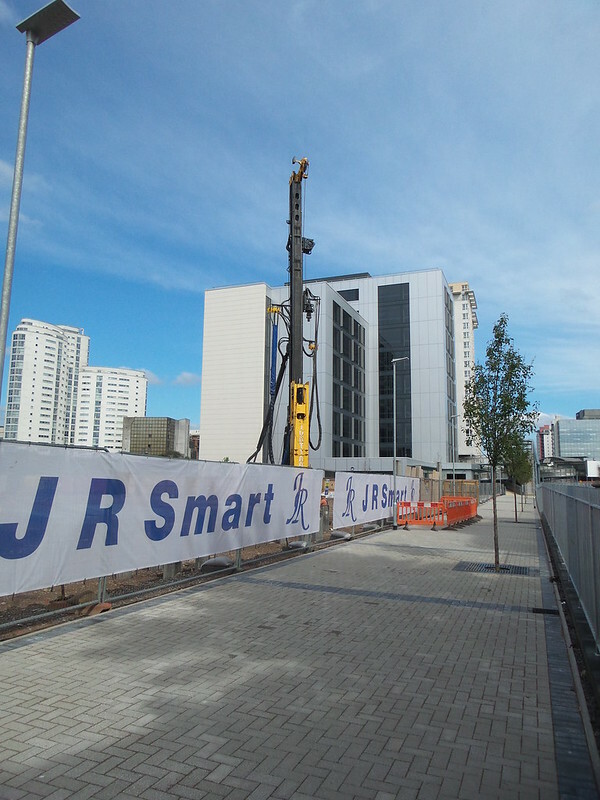 I thought I'd start a thread for the JR Smart Capital Quarter development on the new forum. Number 1 Capital Quarter, just under 80,000sq ft of office space purchased by the Assembly Government with a number of tenants confirmed or lined up. The two plots earmarked for student housing have been sold to a company that will develop 580 student housing rooms. No news on the start date or whether the plans we've seen will be what's actually developed. At various points over the last few years we've seen mention of negotiations with hotel operators and I think NCP for some of phase 2. So the next one up is Capital Quarter No2 - this is how it should look.. 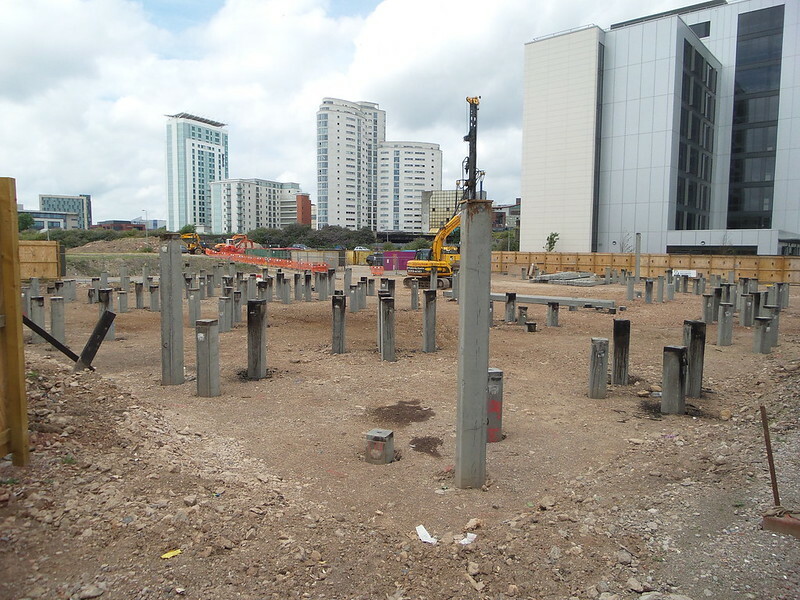 So we are at the piling stage at the moment and this was today 18th July 2014.. It won't look like those renders if No1 is anything to go by. I can guarentee those windows will instead look like a boy racers blacked out windows. Also the building materials will look a lot cheaper and prob a different colour to. The good news is they are looking to have it completed by December next year, so hopefully the pace of construction will be a bit quicker than number 1 was ! There's nothing in the article about any potential tenants looking at it so for now it does look purely speculative. 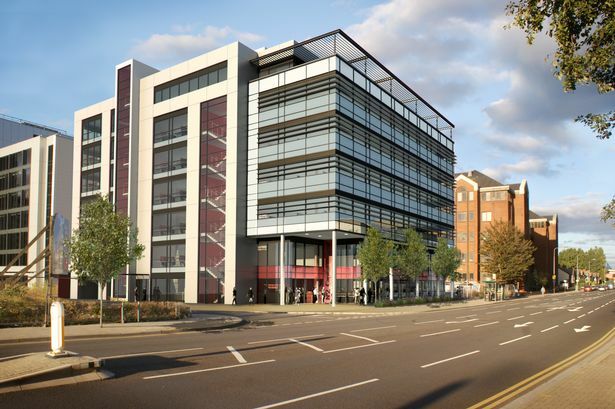 "The Welsh Government is also looking to build a 90,000 sq ft office scheme at land it acquired at nearby Callaghan Square. A number of potential occupiers have been identified for the scheme. Although discussions are at an early stages, it could potentially house professional advisory firm Deloitte. It currently has a workforce of around 400, and growing in the city, but could over the next few years see this rise to around 1,000." I knew Deloitte were expanding but I can't remember the expansion including 600 new jobs. That explains why they are still looking at building even though JR Smart and Rightacres both have buildings going up, and in JR Smart's case a second building going in for planning permission in the autumn. its good news all round really. this and central square significantly increase the city's grade a offering. throw the WG's oft cited Callaghan Square development and all bodes well for Cardiff. Drove down Tyndall street today and I'm convinced I saw diggers etc on the land that is earmarked for phase 2. It was probably just being used for the construction for number 2, anyone walked near the site lately? I was also thinking that we haven't heard anything else on the student housing for a while, other than that land has been sold. Any news? maybe they are working on that new car park they want to build. amp wrote: maybe they are working on that new car park they want to build. It was in that part of the site actually. right, maybe a new car park is required now that the council has bought the one near central square, which probably will be demolished soonish.